Elsevier provides some statistics for my one of my papers. The paper is also available here – on the phase transformations website. 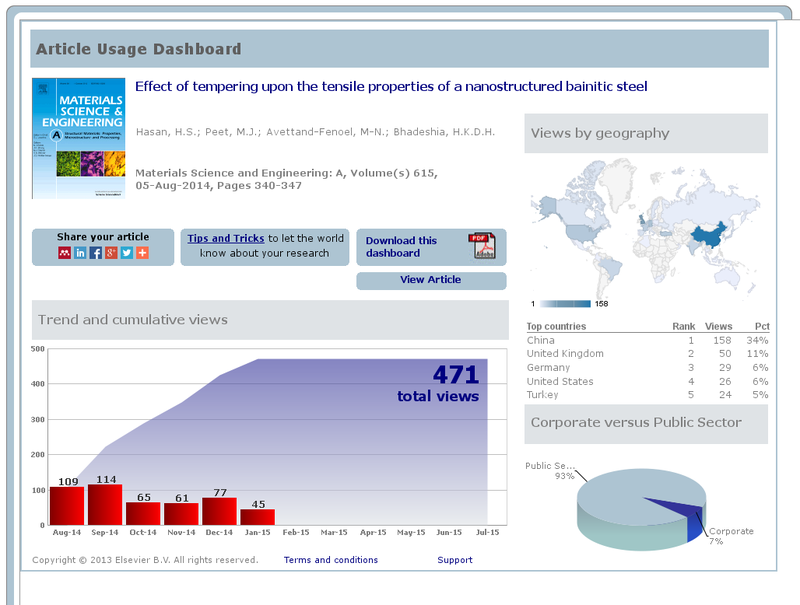 Downloads from Elsevier is about 1/3 from China and 1/9 th from the UK. Available from Monday 20th October 2014 till Sunday 26 October 2014. 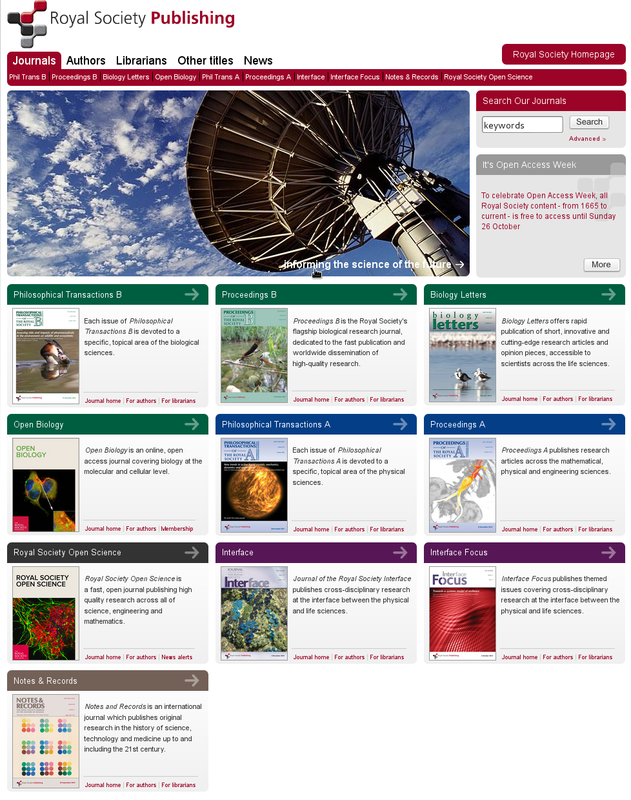 Royal Society Publishing — 1 week free access for all. Please make paper recommendations in the comments!